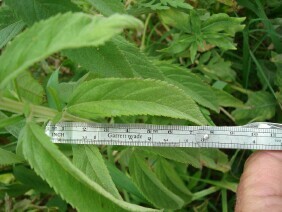 Canada Germander is a member of the Mint family. 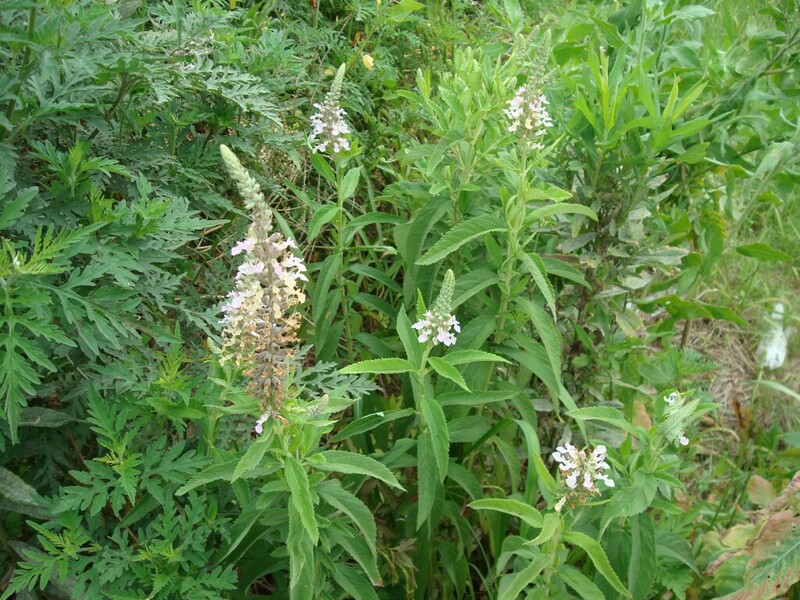 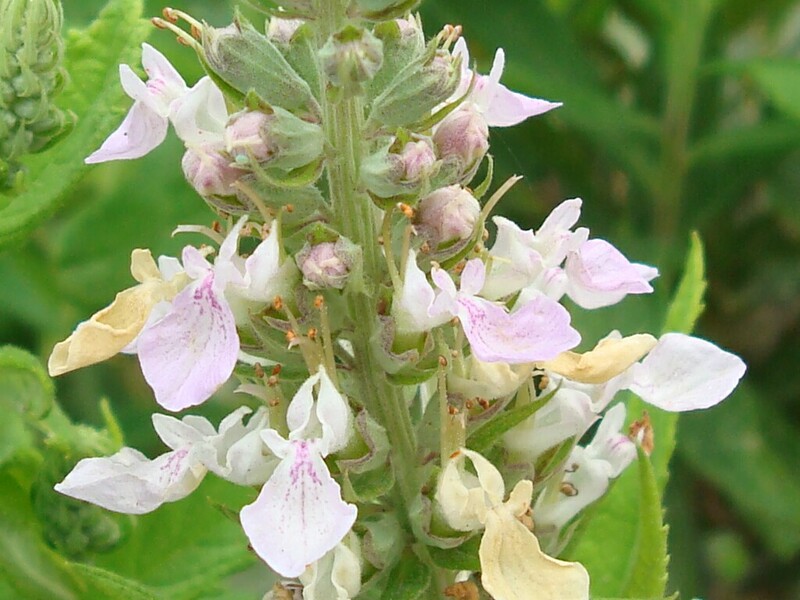 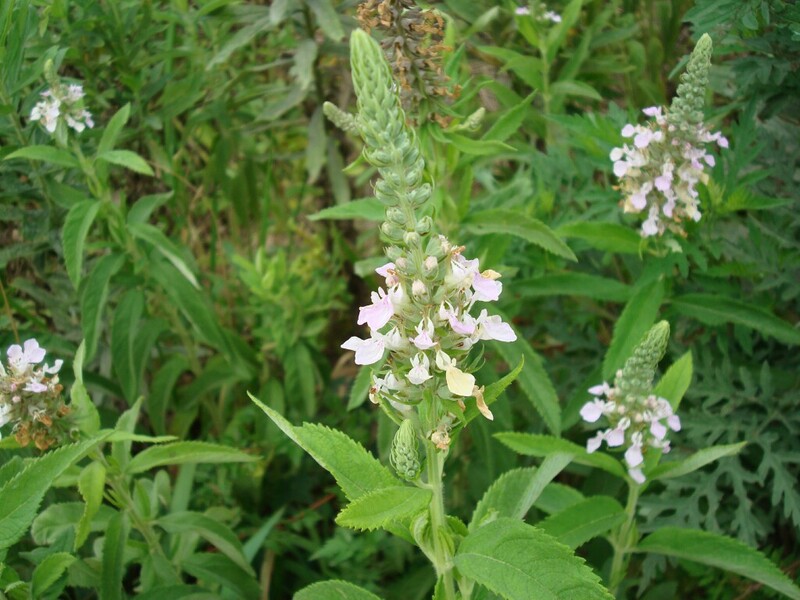 It is also known as American Germander and Wood Sage. 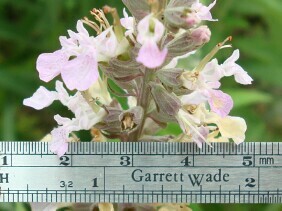 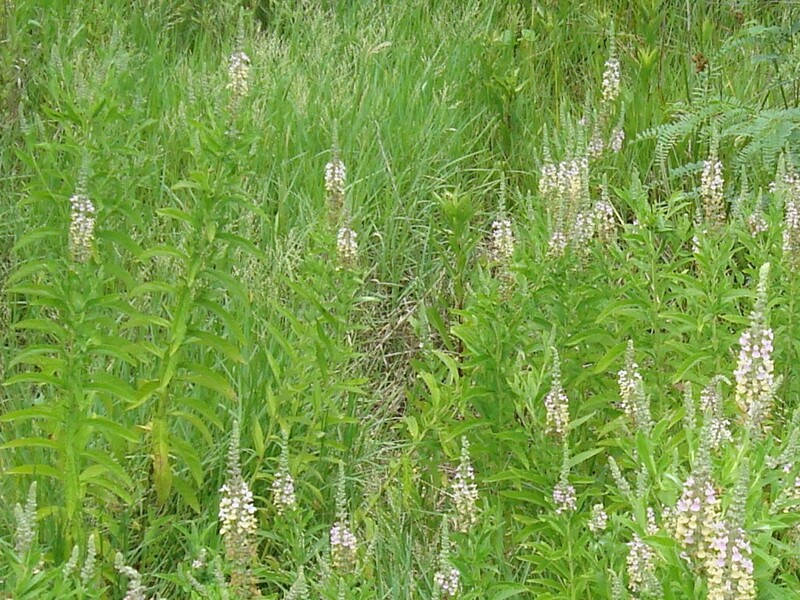 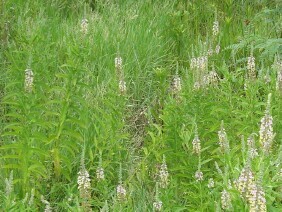 The plant may be up to five feet tall, and can form sizable colonies. I would say that it is uncommon in the Mobile area. 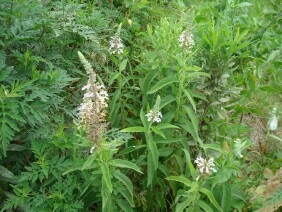 These plants were photographed along the edge of a brackish marsh at Bayou Casotte, in Pascagoula, Mississippi, in early June.